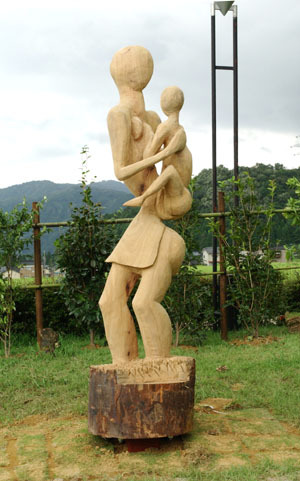 My sculpture is a mother and child. But the message I am trying to put across is a message about AIDS. Your see in my country it a very big issue. A mother is a very important in my culture, but children are our future. So what we must do as mothers or even as fathers is to see that we take of them and don't pass on to them deadly diseases like HIV because children is our future.